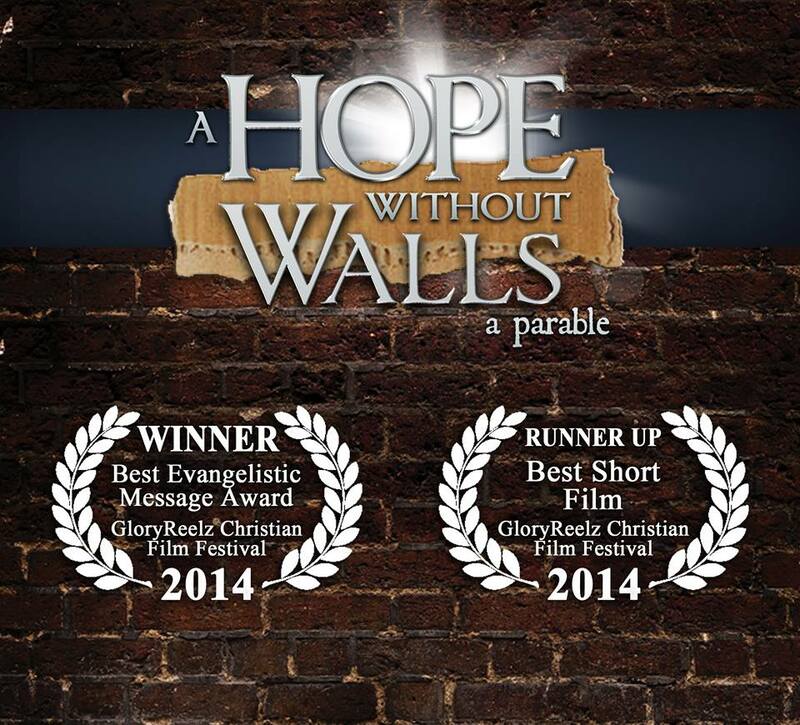 I was introduced to A Hope Without Walls at the GloryReelz Christian Film Festival. It was the winner of Best Evangelistic and Runner Up of Best Short Film. I didn’t get to watch it at the festival but watched my DVD copy today and what fun it was. 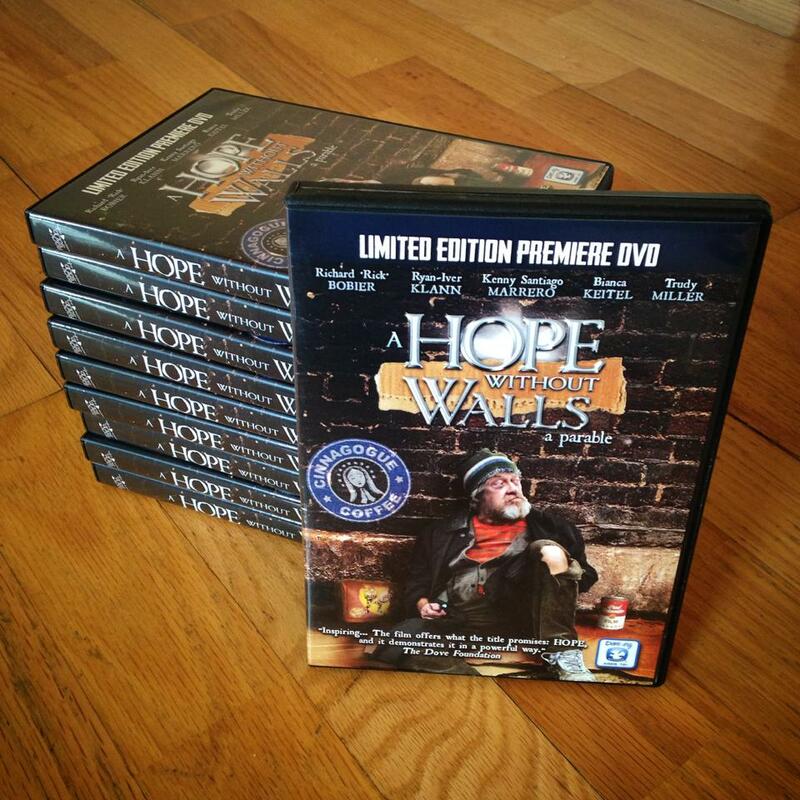 A Hope Without Walls is the story of a homeless man (Richard Bobier) and his new friendship with a young lawyer (Ryan Iver-Klann). The theme of the movie is homelessness, but the approach is a completely original and lighthearted comedy. The film opens with the most creative opening credits I’ve ever seen. The titles are incorporated into product labels and signs around town. From there a cast of eclectic characters illustrates the contrast between what the church is and what it should be. The sad thing is that many of the funniest lines are too true to life. Like the nuns who bring the homeless hot food but are afraid to get too close to them and are more concerned with keeping sanitized. While A Hope Without Walls is distinctly a comedy, interspersed in the humor are some serious thought-provoking insights. For example, Derrik (the lawyer) gives Jerry (the homeless man) a toothbrush and explains that the toothbrush represents hope because he won’t bother to brush his teeth at night if he doesn’t have hope for tomorrow. I really liked that concept. The film is designed to encourage discussion of what the church is called to do. I can see church groups watching it, discussing it, then making a meaningful effort to change things and make a difference.